Food Blogga: Healthy Muffins That Taste Good. Really. The problem with "healthy" muffins is that they're usually bland, rubbery, or dry. I wanted to make a healthy muffin that actually tasted great. One you would want to eat. Turns out, that isn't so easy. I hand Jeff a muffin to taste. Me: "So what do you think?" Jeff: Chewing, with a furrowed brow. "Well, they're a little bland. How much sugar did you put?" Me: "Oh, no! I forgot to add the sugar!" Me: "Are these better? I didn't forget the sugar this time." Jeff: Chewing a lot and very, very slowly. "Well, they taste like they're good for you." Me: With fingers crossed. "Well?" Jeff: "These are healthy? Wow! They don't taste like it." The third time really is the charmer. After much experimentation, these "healthy" muffins really are winners. They get their nutritional kick from a few sources: whole wheat flour has extra calcium and protein; flax seeds are high in beneficial omega-3 fatty acids. Egg whites lower the cholesterol in the recipe without lowering the protein; and low-fat buttermilk and Smart Balance reduce fat and cholesterol while helping maintain moistness. Raisins, walnuts, and sunflower seeds provide fiber, omega-3's, calcium, and protein. Just to be sure it wasn't me, I sent a batch to Jeff's office. The plate came back empty, except for a thank you note with a smiley face. See, they really do taste good. Combine flours, flax seeds, baking soda, salt, cinnamon, and nutmeg in a large bowl, and stir well. In a separate bowl, combine buttermilk, honey, sugar, smart balance, and eggs, and whisk well. Add to the flour mixture, stirring until just combined. Fold in raisins, walnuts, and half of the sunflower seeds. Spoon the batter evenly into the into 12 muffin cups. 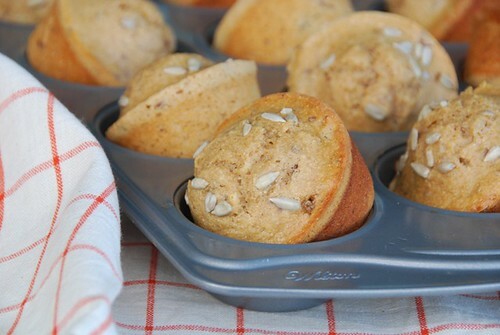 Sprinkle remaining sunflower seeds on top of muffins. Bake for 18-20 minutes, or until the tops are golden and a cake tester inserted into the center of a muffin comes out clean. Transfer the pan to a rack to cool for 5 minutes before removing each muffin and placing on a wire rack to cool. Note: I tried variations with less sugar and found them to be too bland. However, if you'd like to reduce the sugar in these, feel free. They're still packed with lots of good-for-you ingredients. I'm sending lovely Aparna of My Diverse Kitchen some muffins since she has chose whole grains for this month's Weekend Breakfast Blogging created by Nandita of Saffron Trail. They do sound delicious. I'm laughing because I remember years ago when the oat bran craze was just starting and I went through I don't know how many different versions to get an oat bran muffin that I liked. I love healthy muffins for breakfast. Don't think the buttermilk escaped me! These sound really good. They really sound healthy and delicious. I wouldn't attempt to make them three times. With all those great ingredients, I bet your muffins taste good! They look perfect! Great idea! I had muffins on my mind this week too! I tend to use yogurt to keep healther muffins moist as buttermilk doesn't seem to be as readily available in the UK. I'm intrigued that you cooked them straight in the pan for the pictures. I've still not found the courage to try that as I'm completely convinced they will stick horribly to the pan and I'll never get them out of it :-) Do you use any spray oil or similar before you put the muffin mix in? When someone says that something tastes like "it's good for you", you know you have to keep looking for a recipe. Seems that you found it! They look really good (and good for you ;))! I make loads of muffins and these sound yummy. They would be nice with apple or fruit added too. Mmmmm. Will definitely make these. I like the healthy-looking muffin peaks! Look's like you've perfected it! Would it work to make these with all the same ingredients, substituting real butter instead? That's what I have at my house. I know it would be a little less healthy. Just made your corn-honey muffins last night and they were a huge hit with the family. Well i have never made a healthy muffin. YUM! I'm so excited! Finally a healthy muffin that looks amazing AND doesn't have too many special ingredients that I have to run out to find! These will be tried as soon as we return from our trip! They sound perfect for a new fall morning! I totally agree with you about bland/dry tasting muffins that are good for you. This looks like a winner and I'll have to try them! I seriously love muffins. They freeze so well and make a great breakfast- these healthy ones especially. It's kind of sad to see what people think are 'good for you' in terms of a muffin these days. They taste like they're good for you. Jeff's funny. I really like how you photographed these muffins all topsy turvy in the tin. Thanks for these great recipes! My kids participate in sports, so I'm always on the lookout for healthy carb recipes to keep them fueled! your lively-chatty preludes are always charming :) these muffins are deft'ly wayy better than soggy oats! Your healthy muffins in 3 takes is very funny. But I do think that "They taste like they're good for you" was a diplomatic way for Jeff to refer to your earlier efforts. I'm in love with muffis that I appreciate any recipe :D Adding yours to the list. You can't imagine how BAD a sugarless but too much cocoa powdered muffin tastes ! Healthy muffins usually have a texture that I don't like, but these look so light and fluffy! I'll take 2! mmm these look good! i love the last picture of them flipped on their sides still in the baking sheet. it sounds like they have a ton of flavor! These sound great, I find that buttermilk adds a lot to healthy muffins. We are all on a muffin/cupcake kick lately! These look healthy and delicious! You are a great baker, I am still making the choc. dipped biscotti from that amazing bakery in R.I. that you posted last year! I am addicted to them. I'm secretly glad that you were the guinea pig for these. Now we can reap the benefits of their ease! Love these Susan and they have been bookmarked for future cooking! Hmmm - I love that these taste good and look great! Susan, indeed a very healthy muffin,Long time back I had read in a mag that a muffin u buy from the cafe is equivalent to 3 mars bar, so never again!!!!!!. I've never tried that smart balance, always wondered what it tatse like.I like making healthy muffins,I always need a little something, something with my coffee, and no need to feel guilty! I've been using the white whole wheat from, of course, none other than Trader Joes! Love it! Looking at the ingredient list, I'm thinking, how can these NOT be good? They look delicious! And I like that you add nuts and seeds and raisins to these, they must have a lovely texture. Healthy and delicious, what more can you ask? The perfect combination - good taste, and good for you! And nobody knows the truth! Now, can you work on frosted devil's food cake? Full of healthy goodness and good taste: perfect. Thanks for sharing this great recipe! Very convincing testimonial! I love when you tinker and toy and in the end-success! I remember making so many muffins with All-Bran, and most of them tasted wretched. Then I put apple into one, and the moisture and sweetness really worked. If Jeff thinks your muffins don't taste like health food, maybe my husband will go for them, too! kalyn-My mom did that too! ivy-Now you won't have to! mark-Hmmm...I'm not sure. I buy it in the bulk section at my market, so I can buy just the amount I need.I'm sure it could be refrigerated though. sophie-I like using yogurt too. Yes, I coat the pans with Pam--a cooking spray. And they never stick. deb-Funny you should say that, cause I just experiment with an apple one. happy cook-I hope you like them. ames-I like the height too. kara-Yay! I'm so happy you're going to try them. rita-I really like Smart Balance, and I use it in both cooking and baking. But I also use real butter in both. It just depends on the dish. For ex, I use real butter when I make risotto or cookies, but I use Smart Balance when I make low-fat baked goods or add it to baked squash or potatoes. lori lynn-I think he is too. :)Thanks! sandy-These would be a great way to refuel after a game. bal-"evil muffins" ;) I can imagine! stacey-Really? I'm so happy to hear it. I'll have to tell my mil. They really are the best. peter-Good! Hope you try them! pearlsoffeast-OMG! Seriously? I like the idea of almond flour too. Thanks! marie-Try it. It's really good. And you don't taste much difference in baked goods. 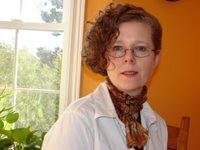 lydia-My mom used to make all-bran muffins. Seriously. I think she may have added apple sauce though. Ted might be pleasantly surprised! I'm always looking for muffin recipes that are on the healthier side since I have a little muffin maniac running around the house. I would love to try these sans the nuts as he would pick each and every one out! God, that looks like a lot of work. You dedicated, dedicated people. But I'll come over to your house to eat them. Call. I'm in the book. You recipe looks great. I like adding flaxseed meal as well. My healthy muffin recipes usually uses yogurt, and some sort of fruit puree for extra moistness - banana, dates, prunes or applesauce. These muffins really make the perfect breakfast, Susan. I'm going to try them out. Thanks for participating in WBB. YES! A recipe even my kids will eat. I don't usually tell them things are healthy up front but I was planning to horde these muffins for myself so I did. Turns out, they like them (although due to lack of materials I had to vary them slightly). I added dried blueberries, cranberries and golden raisons, about 1/3 instead of 1/4 cup since I only had the mix in my house. I used pecans instead of walnuts and since I was out of sunflower seeds (SO DISAPPOINTING!) I garnished the tops with 4 or 5 slivered almonds. 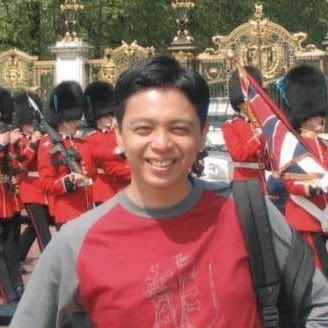 Seriously, I am so happy I stumbled upon your blog! jaime-I'm glad you liked it. aparna-You're welcome. Thanks for choosing a great topic. This looks too good to be true but after reading the list of ingredients it makes sense that they are good & healthy. 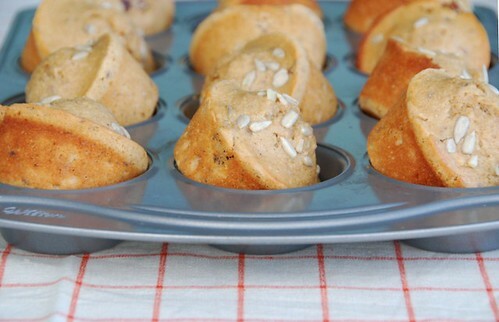 It's so hard to make a good healthy muffin...sounds like you did and I can't wait to try them! LOL - you are so right, Susan - usually health muffins do taste too healthy! I made some banana ones that may have been healthy but failed miserably to live up to the memories of childhood :( Glad to hear it's possibly to have them healthy AND yummy! I will definitely put this recipe to work, and will report the result. 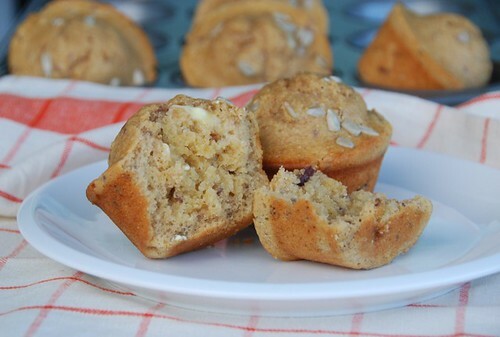 i made this last week, and it was awesome - the best healthy muffins ever. my hubby loves it as well. I read over the recipe and it does sound great. I'm going to try and make them tonight. The only thing I am definately going to substitute is the 1 cup of sugar with stevia. I find that a lot of "healthy" recipies contain a lot of sugar. I did up a couple batches in jumbo muffin tins. These have been my breakfast for a few weeks now. I've settled on using dark rye in place of whole wheat, real butter, and apples and dried cranberries instead of raisins. I also use sliced almonds, not walnuts, because they are cheaper around here. One complaint: Why only a quarter cup of fruit? Discovering a berry in most muffins is a pleasant surprise. Why should this be? When I make muffins, I put in as much fruit as the batter will hold together. This time, I had two diced apples, two cups of dried cranberries, and three quarters of a cup of almonds. No more digging for the good stuff, because its all the good stuff. Also, one time I accidentally substituted ground coriander for ground nutmeg. At first glance in low light, they look about the same. The end result was rejected by some, but I thought they were pretty damned good. I'm glad you've enjoyed them. It's 1/4 cup raisins b/c these are healthy muffins, so I wanted to keep the calories down. Real butter, dried fruit, and nuts are delicious, but they also add lots of calories, which defeats the purpose of making them "healthy" muffins. I made these muffins today with dried cranberries, walnuts, and smart balance light... it seems a lot of people think the buttermilk is adding a lot of calories, but there IS low fat buttermilk! These muffins were delicious and didnt taste like carboard health mushies! Thanks a lot for sharing your recipe!! Anonymous-I used lowfat buttermilk in the recipe. I'm so happy you liked them! Thanks for letting me know. Just made these muffins. They are sooooo good! I used blueberries, toasted pumpkin seeds and flax seed. jan-I'm so happy you enjoyed them. I'll have to try your combo now-- sounds delish! These are delish, and it's a good thing they are! Making them definitely put a dent in my a good day. After I mixed the wet ingredients something fell off a tall shelf and knocked the bowl onto the floor and spilled everything everywhere. Then, in a feat of incredible stupidity, I managed to tip over the entire muffin tray as I was attempting to slide it into the oven and it fell face down on the oven door! They were delicious despite, and I got treated to the smell of fresh-baked muffins before I'd even put them in the oven! Lol. love the site name! and will deffinately try the muffins.. my boyfriend likes yummy stuff that is healthy too! nicole- Oh, no! What a disaster! Yet, you still enjoyed them. You're so sweet! I'm a flight attendant and needed something easy and portable with all my am nutrients for energy - these fit the bill AND I still lick the bowl! Thank you! shani-I am so happy to hear that! It must be challenging to find healthy foods with your job, so I'm thrilled that these muffins fit the bill. These were great. The kids and hubby enjoyed them as well. They froze wonderfully. Next time I will triple the recipe for muffins all week long. mel-That's wonderful! Thanks so much for letting me know.